It was a huge privilege to have been invited to the DC Embassy Chef Challenge 2018. 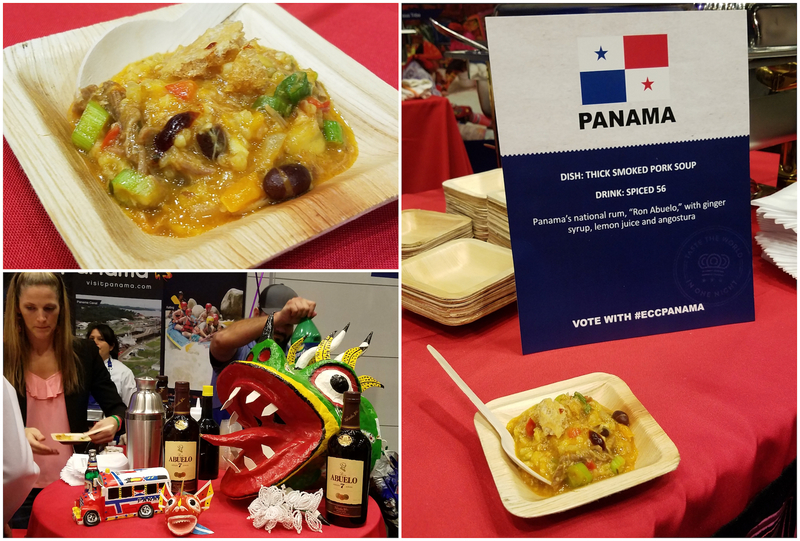 I was very thrilled to attend, Chef Felipe Milanes was representing Panama’s Embassy woohoo! 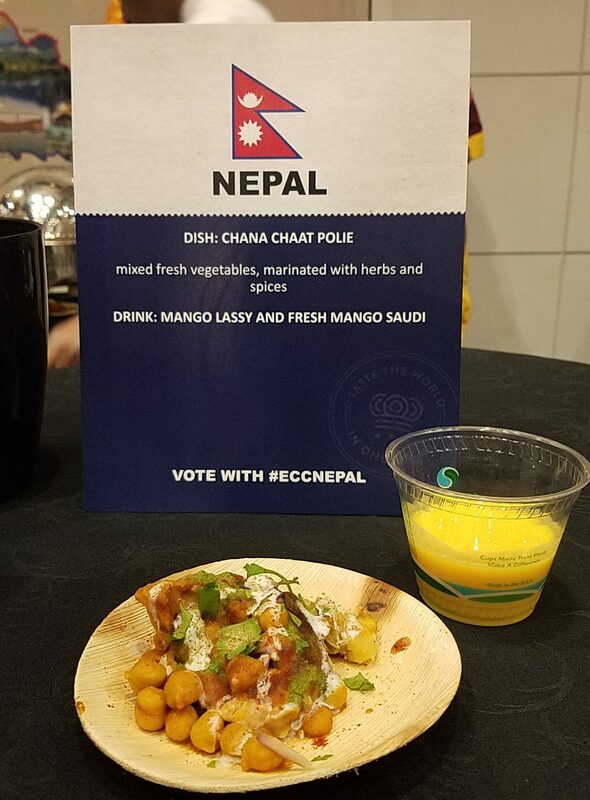 It was fantastic also to say hello to other media colleagues, such as the amazing Lisa Comento, and of course, all the embassies showcased their cuisine, many of which I’ve never had the opportunity to try before! The way a mood is set at events is so important to me and more when I know it’s going to be packed and people are going to cut off in front of you in the line (or “not knowing” where the line starts), yet this event had one of the best ambiances I’ve been to, everyone looked so happy; guess, chefs and their teams as well. 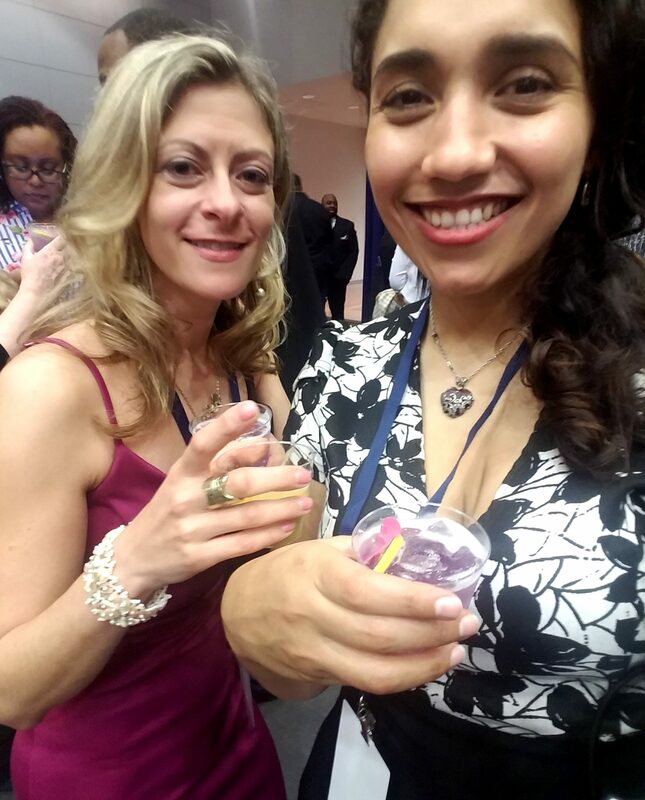 I was very lucky I didn’t have to do a line until after 8pm and it was on the South American embassies section, the great thing is that there was plenty of wine and cocktails available so I was able to sip while waiting for them tasty bites. 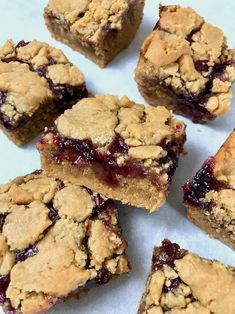 Delicious desserts! 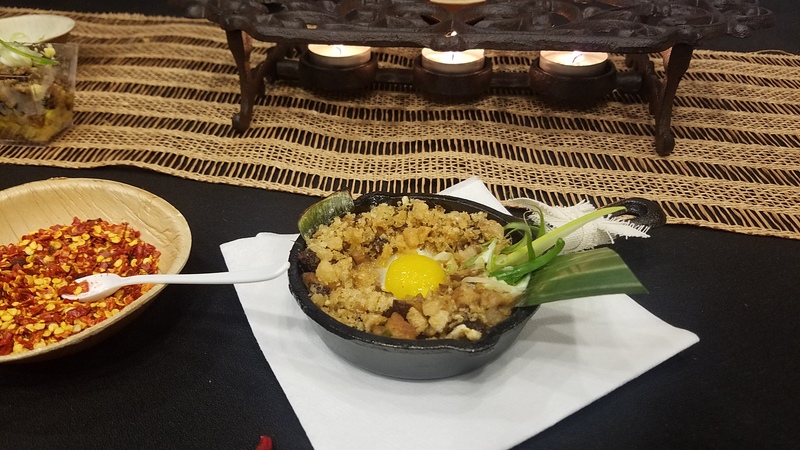 My favorite was the one on the right by Mauritius, a chocolate mousse-pudding with crispy chocolate on top and a caramelized banana compote in the bottom. Also Belgium did an amazing white chocolate, raspberry and basil dessert. On the top left it’s Morocco’s chocolate mouse. 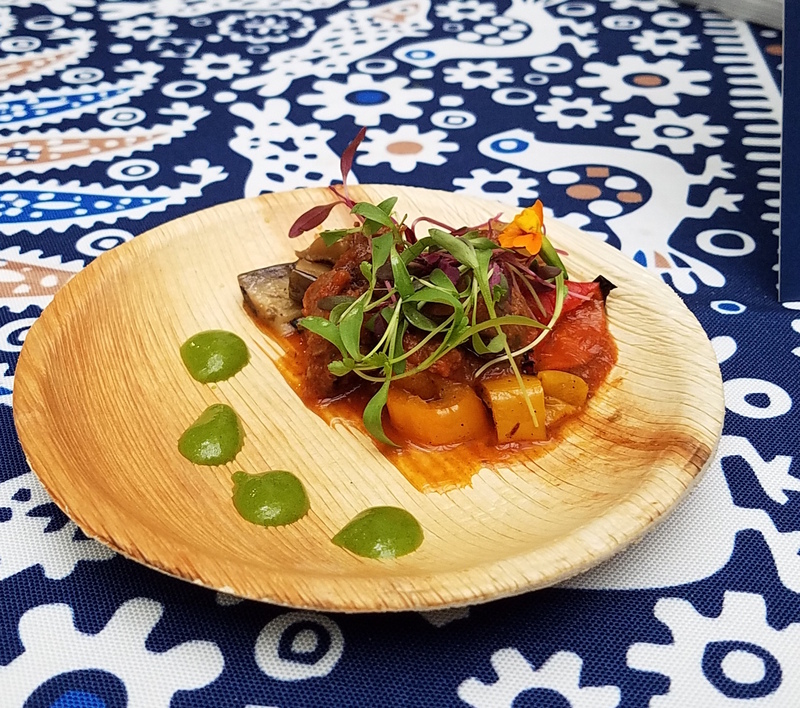 My favorite dishes that evening were: Mauritius Seafood Bisque (and obviously, their dessert, so good! 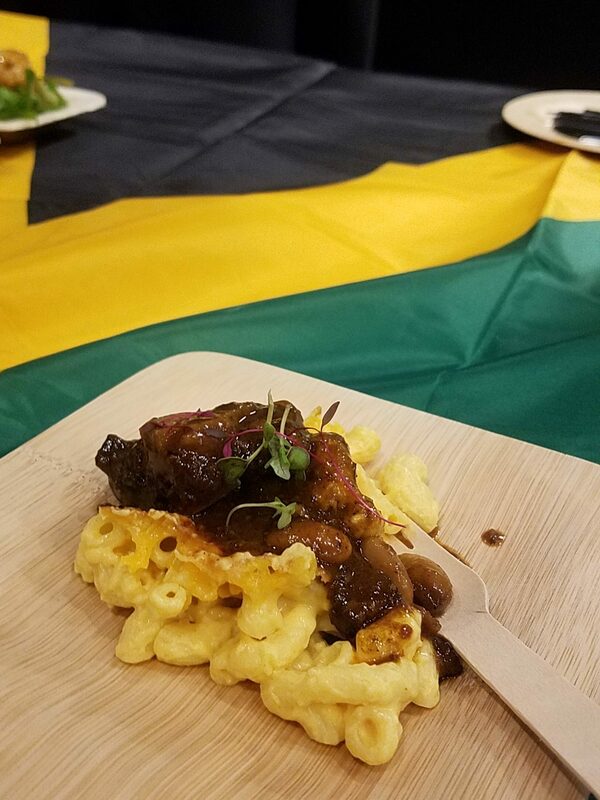 ), Haiti’s mutton dish, it was so good and one of my favorite chefs of the evening! 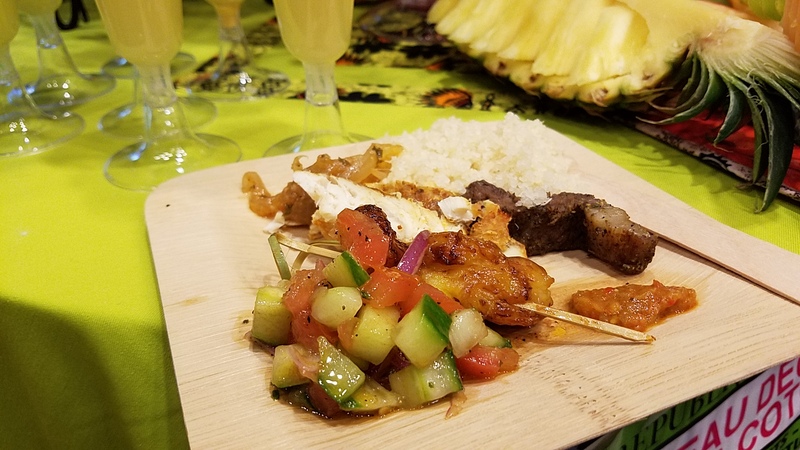 The ladies at Côte d’Ivoire were killing it too, and their pineapple ginger cocktail was very refreshing. 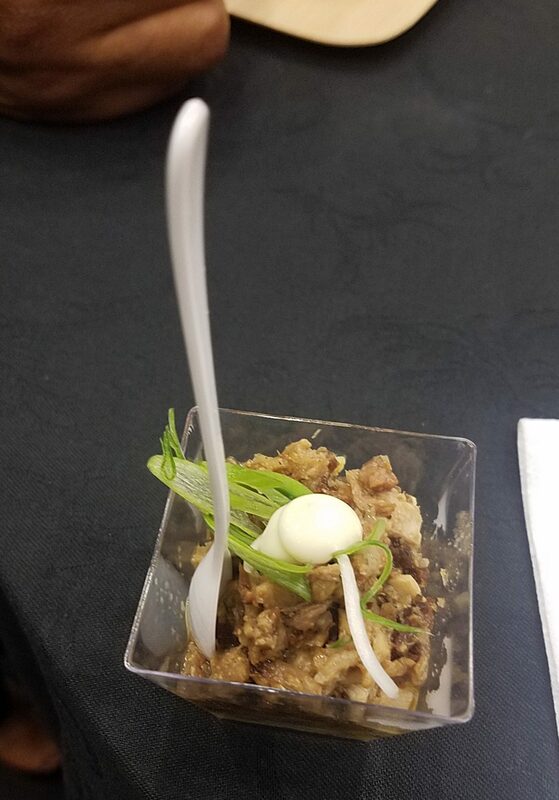 Chef Felipe’s Guacho (smoked pork stew) was pretty tasty, it was fancier than what my mum and my grandma cooks, but the comfort flavor was there and it had chicharron, so yes, bonus! 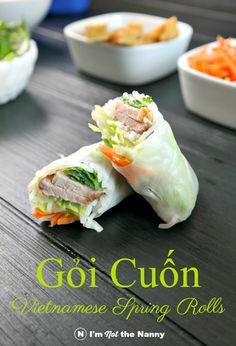 Extra aji chombo (Panamanian hot pepper sauce) for me please! 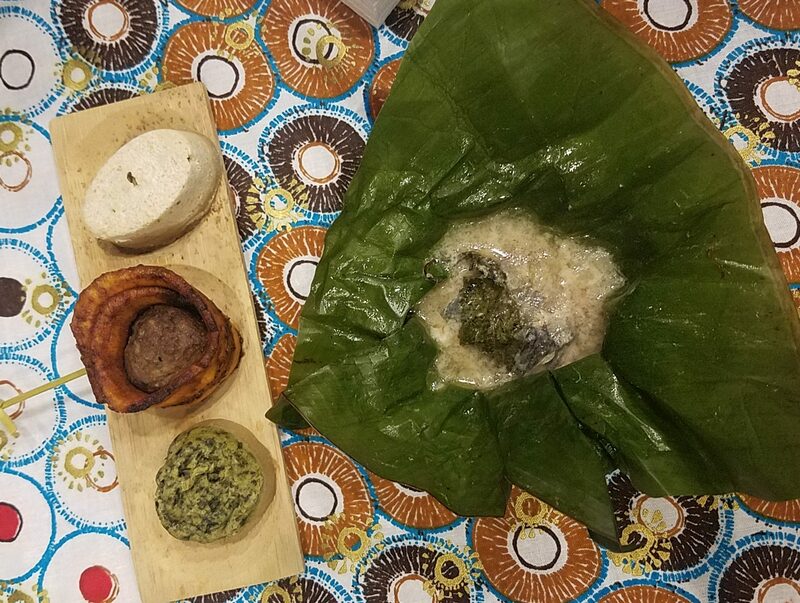 Ghana’s Lamb with Jollof Rice was pretty delicious, so was Georgia’s Chanakhi (Lamb & Eggplant Stew), and the short ribs from Iraq so well seasoned, give me all these meats any day! 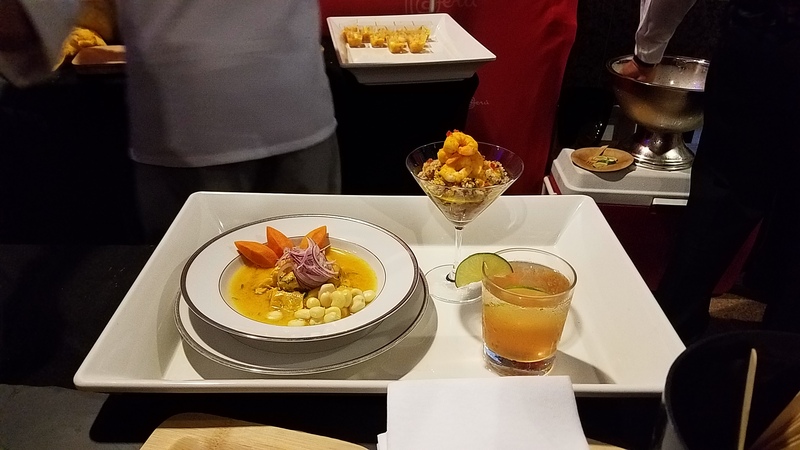 It’s worth to mention Colombia and Peru for their variety of food options. 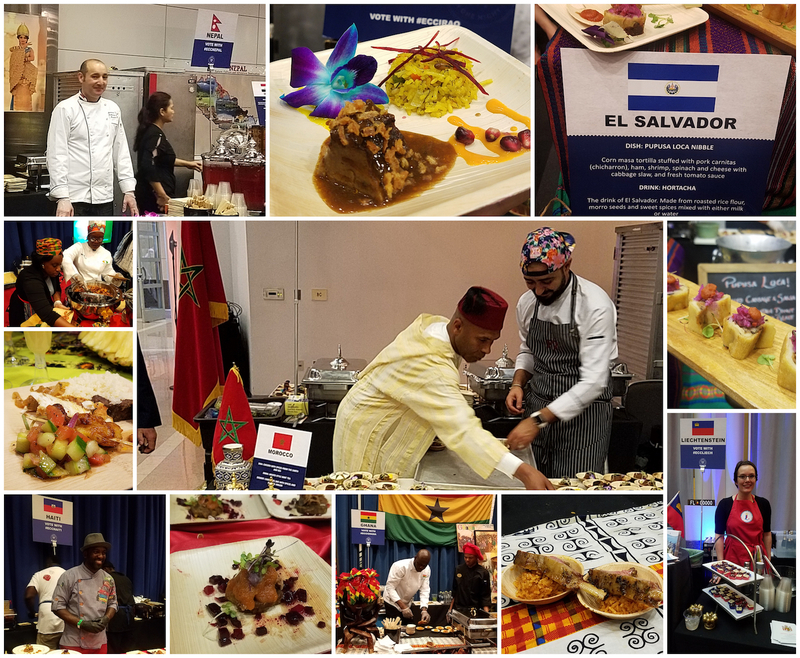 The embassies did a terrific job at showcasing their cuisines and culture through the arrangement of their tables and chefs outfits, Morocco won best Chefs outfits, their table was . 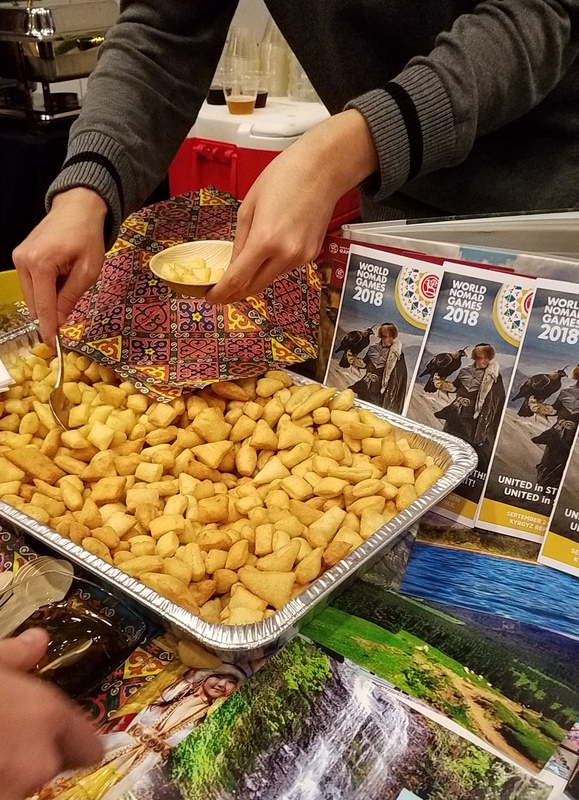 I had a fantastic time and hope I can get this opportunity again the next year to eat around the world from Washington DC, all in one night with great music, dancing, and lovely people who love all the foods and cultures as much as I do! 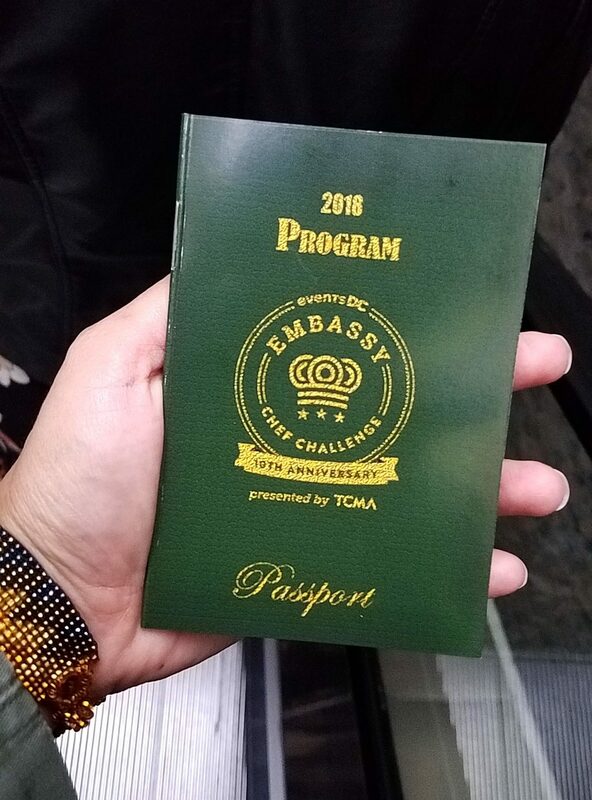 Washington, D.C. (May 18, 2018)—Attendees of the Tenth Anniversary Events DC Embassy Chef Challenge presented by TCMA gathered to travel the world with their taste buds, sampling bites and beverages from 28 participating nations. 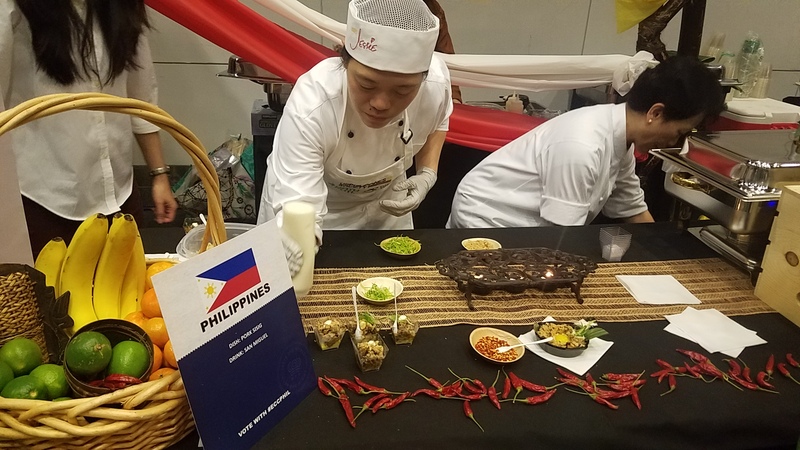 Embassy chefs showcased the unique flavors of their home countries in a culinary showdown. 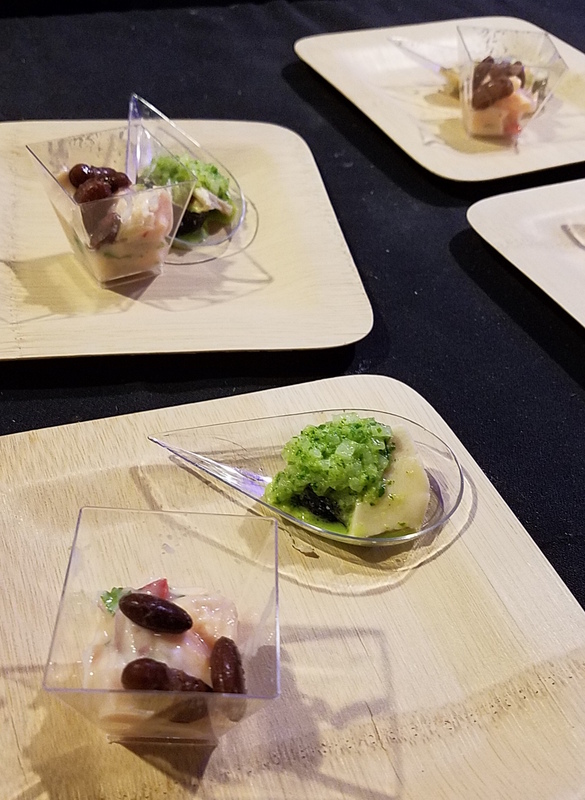 Chefs competed to win the coveted People’s Choice Award presented by Events DC, chosen by guests’ votes, as well as the Judges’ Choice presented by TCMA, selected by a panel of influential members of the diplomatic, cultural and culinary communities.